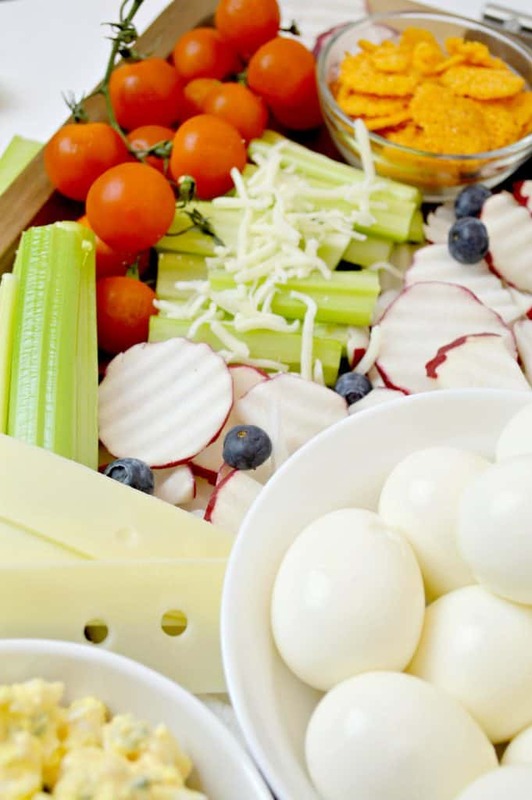 There’s no better way to serve guests than with a beautiful low carb party platter! 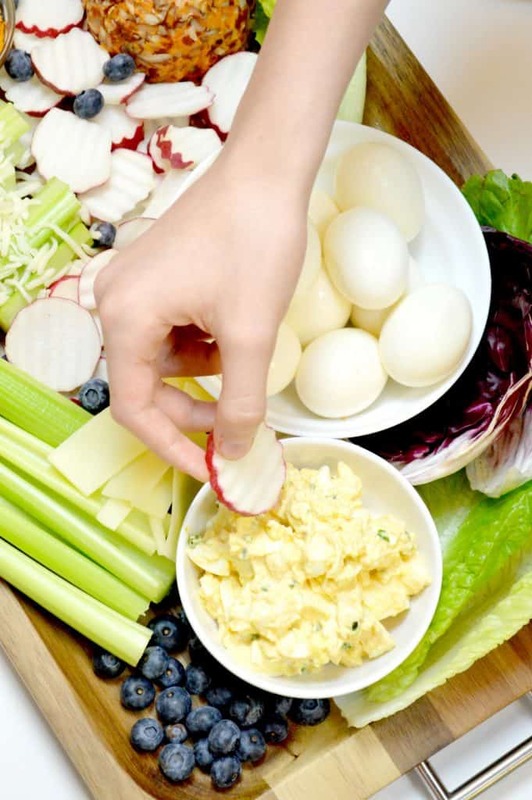 The keto friendly selection ranges from fresh veggies, radish chips, to even a Greek yogurt egg salad! 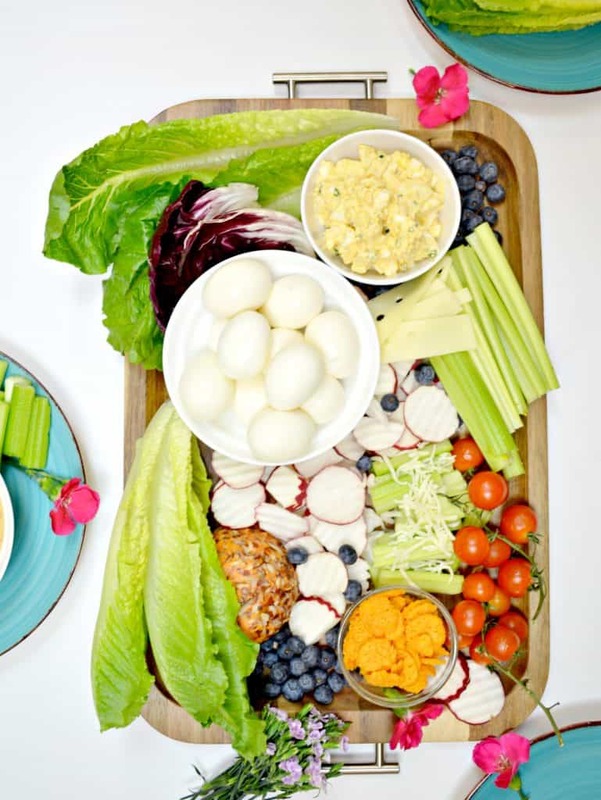 Scroll down for the step-by-step guide to set up and style your very own low carb party platter! 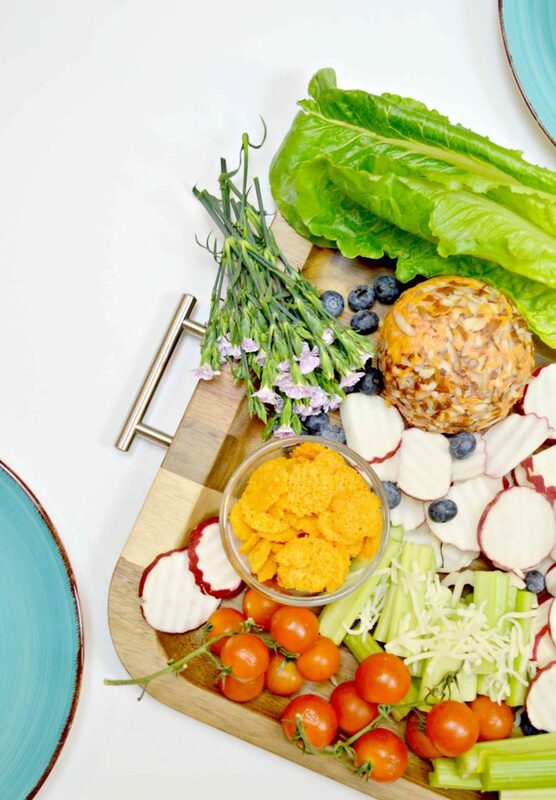 As a mom of seven, party platters are my go-to for entertainment because there’s no cooking involved and it’s customizable. Did I mention there’s no cooking involved?! Don’t get me wrong, I don’t mind whipping up a tasty recipe for guests, but in a pinch, party platters are the best! It’s literally the perfect way to feed a crowd in less than 30 minutes! Below is the platter I served over the holidays and what I plan on serving guests for our Easter gathering. Also, included are a few Tips on styling your platter. My thoughts on serving a low carb party platter was to include low carb options that I know everyone would love, regardless if they were following a low carb diet or not. All the items I used for my low carb party platter can easily be found at Walmart. My first choice was hard-boiled eggs for some protein! Eggs play a huge part in any low carb diet. They’re filling and give me the protein I need to power through my day; Or in this case, my gathering! 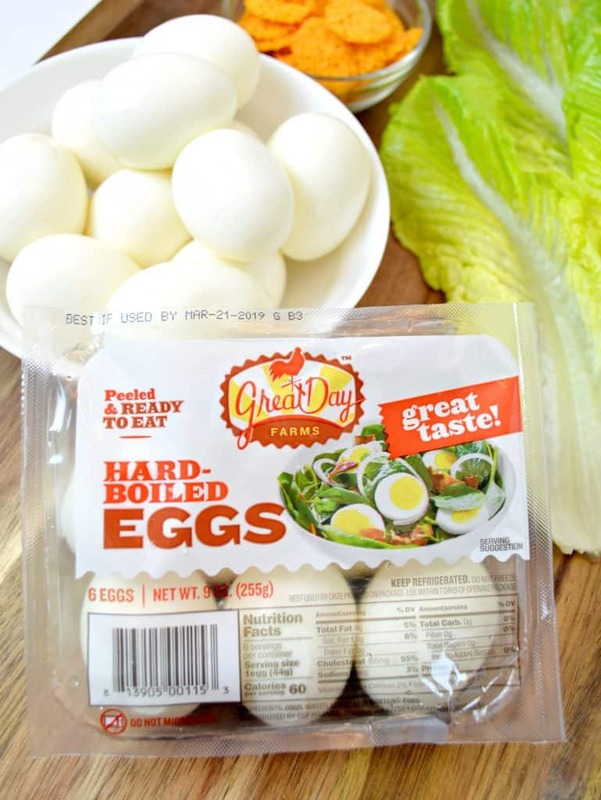 I bought the great tasting 6 pack of Great Day Farms Peeled & Ready-to-Eat Hard Boiled Eggs (they also come in a two pack). They’re perfect to add to just about any party platter, great to use for egg salads, or a post-workout snack! 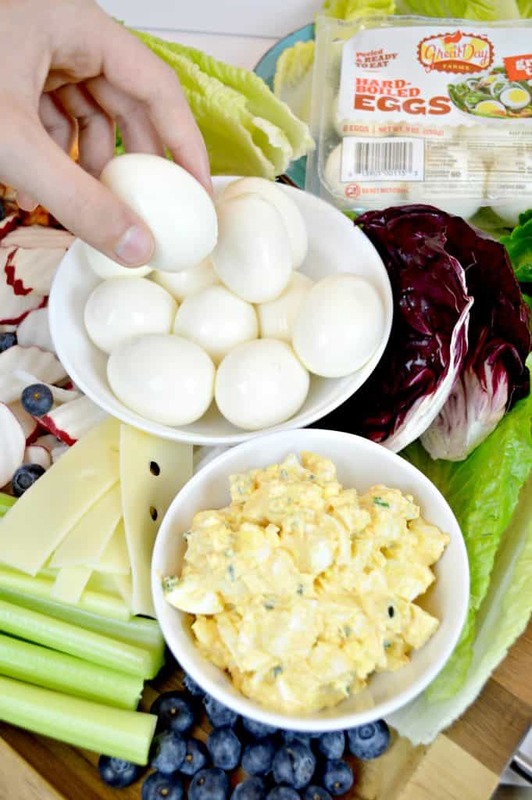 I also use Great Day Farms Peeled & Ready-to-Eat Hard Boiled Eggs to make the easy greek yogurt egg salad seen above! Makes the prepping so much quicker and the clean up is minimal! Cheese crisp for added crunch! 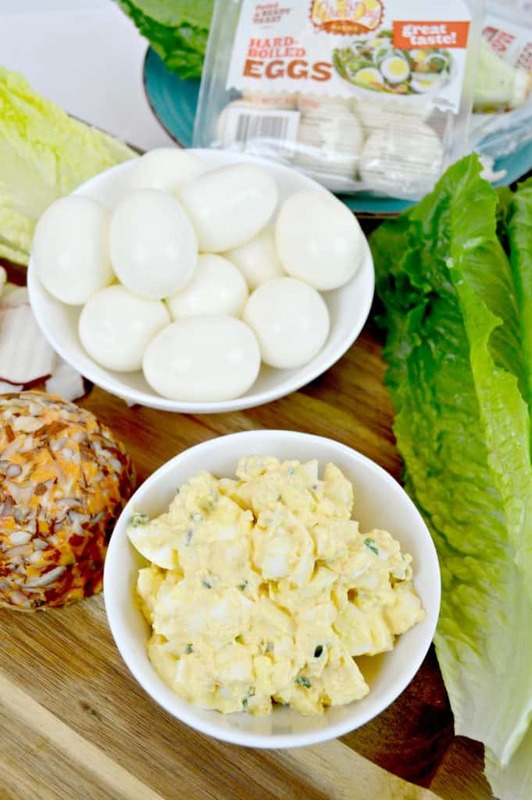 Romaine lettuce to easily create an egg salad wrap. Radish chips that can be dipped in the egg salad, or eaten with cheese! First things first: pick a theme! It can be a food color theme, a dietary theme (low carb party platter like mine), or you can make it a funfetti party platter. The options are endless, and it’s so fun to style and put together! Use colorful foods for a healthy pop of color! For this I used tomatoes, and raddichio that also works great as a wrap! You’ll also need a platter to serve your food on. There’s a huge selection at Walmart (they literally carry everything you need) and I found this oversized wooden serving platter there as well. Make sure you buy more than enough! The trick to making any party platter look inviting and, more importantly, delicious, is to give it an effortless, scattered look! 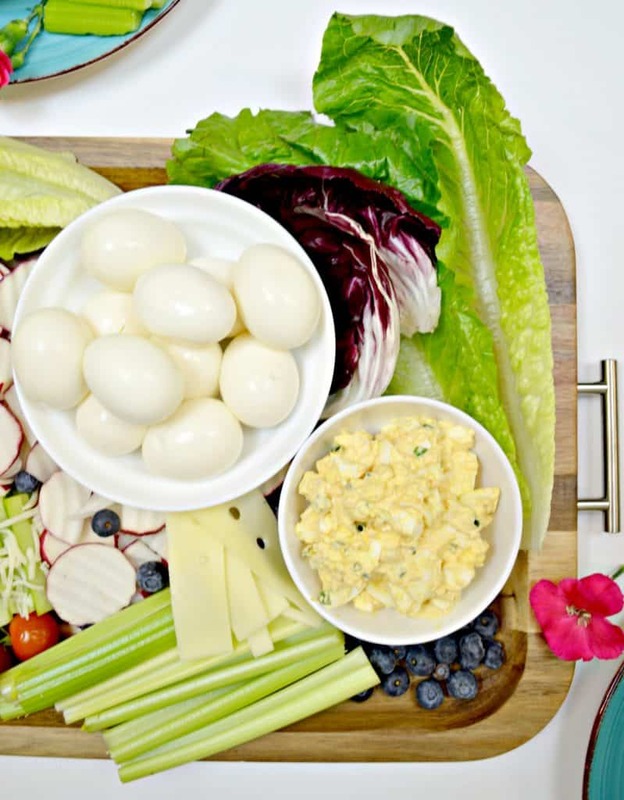 For this, I use hard-boiled eggs, nuts, fruit (blueberries are my go-to), shredded cheese, and I’ve even used pork grinds in place of the cheese crisps. Lastly, but certainly not least, have fun and get creative!